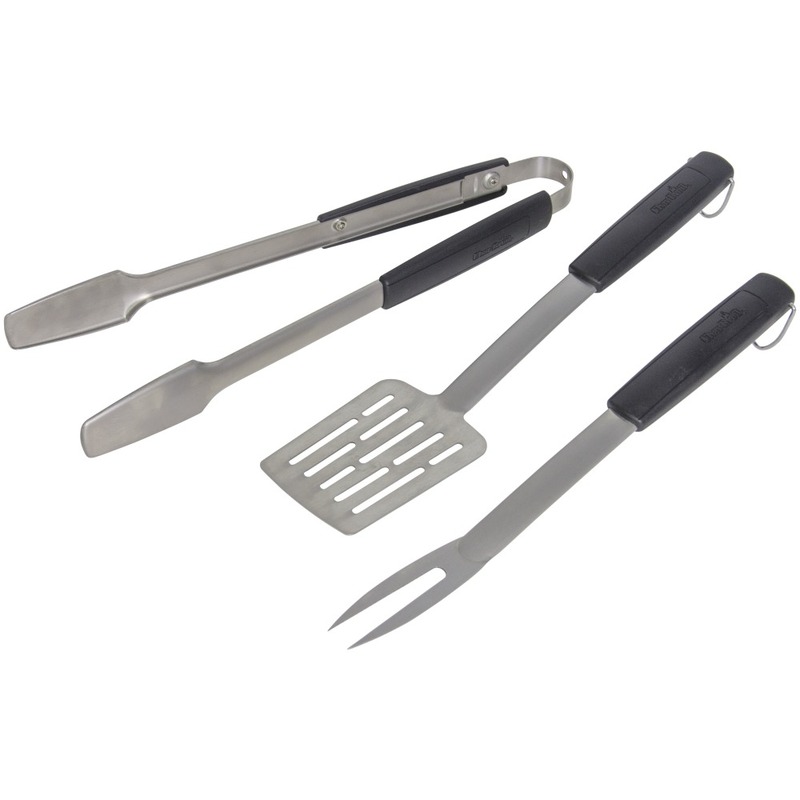 This 3 piece grilling tool set contains a long handle Spatula, a sturdy pair of tongs and a strong metal fork. Flip burgers, spear hotdogs, and pick up veggies with ease as these tools help you handle hot food from a safe distance. Equipped with ergonomic handles and hanging hooks, this is a must-have tool set for every passionate griller.